Home / Gay Accommodations / United States / South Egremont / "Fair Rising"
This 1940s restored cabin is a delightful get-a-way! 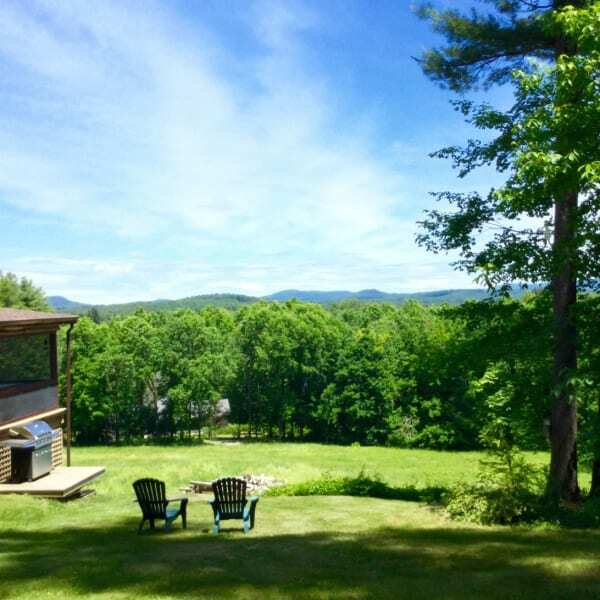 30 mile unobstructed views of the Berkshire hills & the large open meadow in back of the property. A great deal of thought and care has gone into providing this quiet, private and convenient hideaway. Tucked away on a high hilltop the property is only 3 miles away from Downtown Great Barrington and all the attractions of the Berkshires. For outdoors people this is a hikers delight with several waterfalls close by, Lakes and rivers for swimming and exploring and only 1 mile to the Appalachian Trail. Tanglewood, Jacobbs Pillow Dance fest. % major live theatres, The mahaiwe Performing Arts center, Norman Rockwell Museum, Hancock Shaker Village Museum, a bevy of fine restaurants and live entertainment. 2 miles to great hospital. Interested in more accommodations around South Egremont?